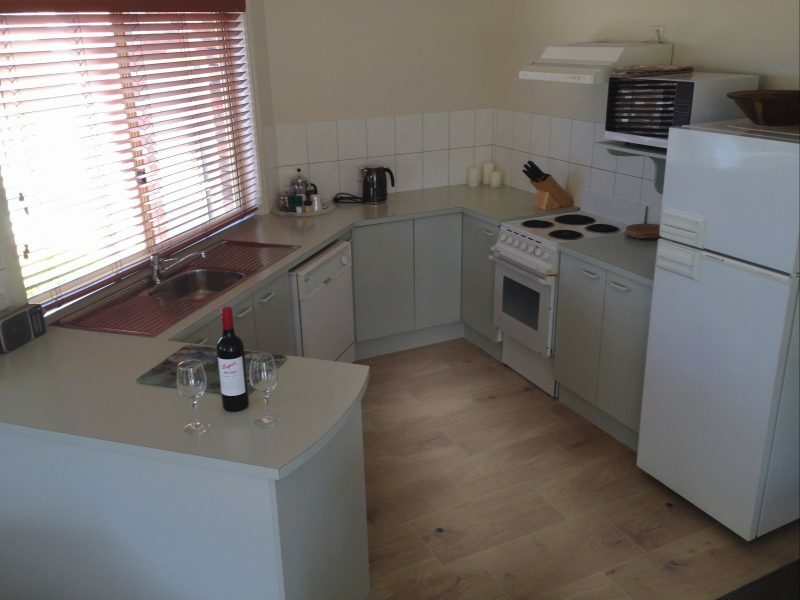 Are you looking for boutique self-contained accommodation? Then Captain’s Quarters is for you: relax, unwind, enjoy! Captain’s Quarters is your home-away-from-home accommodation offering peace, tranquillity and privacy with elevated views to Moorheads Beach. They are a boutique complex with only three free standing, single storey townhouses. 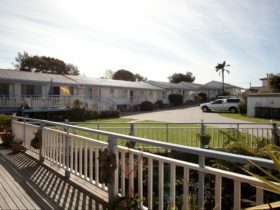 Each townhouse is spacious and comfortable with reverse cycle air-conditioning, open plan lounge/dining plus fully equipped kitchen, two bedrooms (queen and two single beds), bathroom, laundry and private clothesline. All bed and bath linen is provided. In season you can watch the whales frolicking from your lounge room. Each townhouse can accommodate a maximum of four guests or book the entire property for up to 12 guests. The salt water swimming pool has spectacular ocean views. 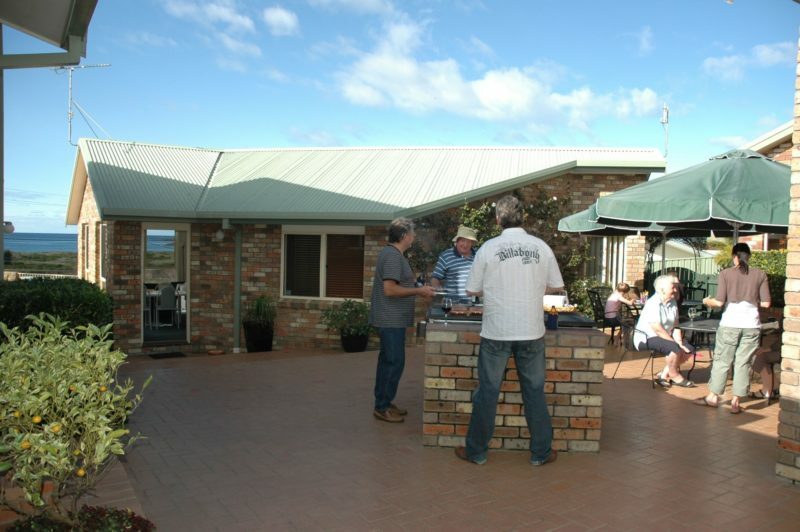 Guests can relax and enjoy the delightful private courtyard complete with gas barbecues and outdoor settings. Guests are encouraged to use the aromatic fresh herbs from their garden. For your comfort Captain’s Quarters is smoke and pet free. 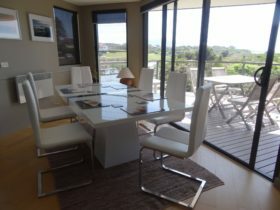 Captain’s Quarters is a three minute walk to Moorheads Beach and the Bermagui River. 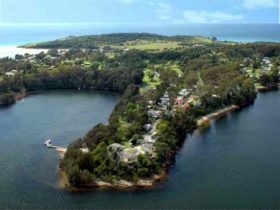 The impressive Bermagui Fishermen’s Wharf with clothing/gift shop, art gallery, gelato, cafe, restaurants and wine bar is a short stroll away. Free WiFi. 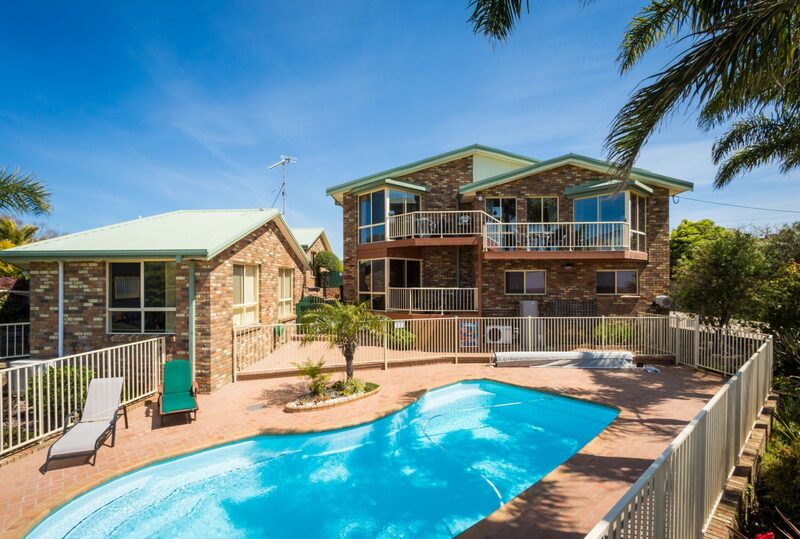 Each of the townhouses at Captain’s Quarters offer two bedroom, spacious, self-contained, free-standing accommodation, sleeping up to four guests. 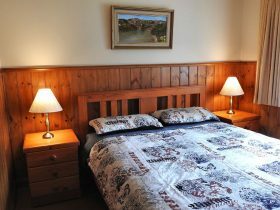 There is a queen bed in the main bedroom, and twin beds in the second bedroom. 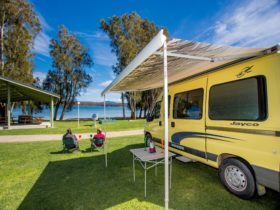 The townhouses all have reverse-cycle air-conditioning, a generous kitchen with full size oven, fridge, microwave and dishwasher, a spacious open plan lounge room, and separate dining room. There is a laundry with washing machine and private clothesline. All bed and bath linen is provided. A range of fresh herbs from the garden is available for you to pick, and there is ample off-street car and boat parking. Captain’s Quarters is a non-smoking property. These rates are based on two people. 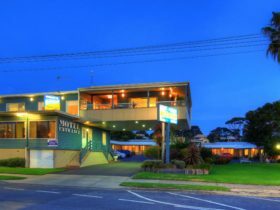 Additional people are AUD15 per person per night. Rates are seasonal. Please view website for full details.